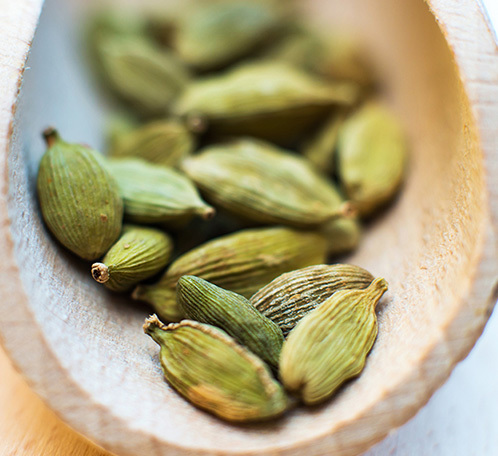 I see Cardamom as one of those rare ingredients that can shake one’s perception of flavor and scent. It complements bitter coffee, sweet mango, salty beef, citric lemon and umami cheese while still being plenty identifiable and addictive on its own. I use pods and powder to cook all the combinations above and this CO2 is the closest thing to the real deal you can get, being spicy, fresh and creamy at the same time. Also, it is as tenacious and diffusive as any other noble spice, so a little goes a long way. Your imagination and your cultural references are the only limitations to what you can do with this offering. You can head Turkey and blend it with Coffee for an invigorating fix or evoke India mixing it with Cinnamon, Clove and Black Pepper for a relaxing chai. You could blend it with a bit of Tonka Bean, your favorite berry and Cedarwood Atlas to feel like a Viking eating a Julekake after conquering riches in distant shores. Or you could even step away from culinary inspirations and use its balsamic properties to enrich pale woods, give a twisted nuance to forest concoctions or add that little touch of genius to run-of-the-mill summer colognes. It doesn’t matter what you decide to do with this masterpiece, I think it can handle pretty much any crazy idea thrown its way.